Anyway, back to the point at hand. I really started to look into the rust issue when my Mosin Nagant was turning brown/orange. I looked online for a wonder product, ordered something on a whim, and I am pleased! Fortunately, I have only had to deal with surface rust, and minor pitting from more extreme rust. Before you treat your firearm for rust prevention, you need to get the rust off first. I use Hoppe’s 9 Bore Cleaner. This tends to dig in a little more to get the rust off, but is still safe enough for most firearm finishes, plus it smells great. Put some on a cotton gun patch, and wipe the rusted areas down. I would change the patches frequently, because the last thing you want to do is push the rust around. After you have gotten all the rust off, I would wipe the firearm down with a microfiber cloth to try to get the firearm as dry as possible. Do one more pass with the Hoppe’s to check again, and wipe it down one more time. Here is where the magic happens. Now that your rust is gone, how do you protect it? RIG Universal Gun Grease! This stuff is amazing! 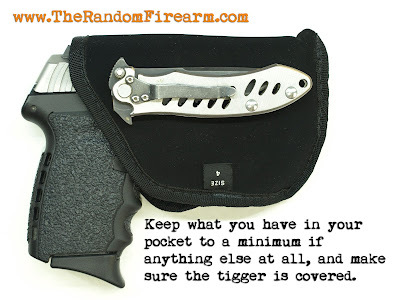 Coat your ENTIRE firearm with this (the metal parts) with a thin layer. This stuff really does a great job at keeping rust away. Simply apply some to a clean cotton patch, and coat your firearm. Make sure you get the nooks and crannies, as well as slide serrations and other places you typically touch. Avoid touching any of the coated metal after until you need to. If you plan on taking the gun to the range, wipe if down with a microfiber towel first, and then make sure to reapply it after you are done cleaning it. I even have a layer on my carry guns, while they are being carried. If you are storing them, make sure they are in a cool (air conditioned) and dry place. If possible, avoid hard cases with foam linings as they may trap in moisture and speed up the rust process. RIG isn’t going to work forever, so you need to take care with proper storage and handling after. 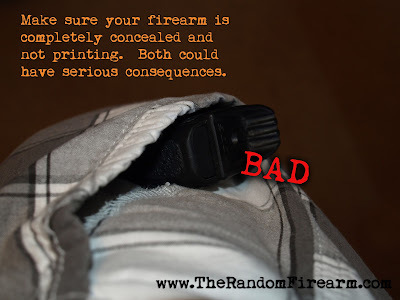 Never touch a firearm without wiping it down. Sweat and oils in your hands and fingers can destroy finishes in certain situations. Always wipe down and coat them with RIG. These steps should keep you rust free. It has worked wonders with my Mosin. It’s been rust free for a while now. I use this method with all of my firearms, even the ones that have remained rust free from the start (like my SKS), but the method works, and I hope it works for you! There has been quite a buzz recently about Donald Trump announcing that he will be running for president. As you probably would have guessed by now, your author is a fan of the Second Amendment. I like guns, I like thirty round magazines, and I like carry permits. I openly support the Second Amendment, and anyone running for President of the United States (or any political office) should have a similar view that I do on the subject for the greatest chance of a vote from me. So where does Trump stand on this issue? Well, it depends where you look, and when he spoke. There seems to be some conflicting views. It’s often argued that the American murder rate is high because guns are more available here than in other countries. After a tragedy like the massacre at Columbine High School, anyone could feel that it is too easy for Americans to get their hands on weapons. But nobody has a good solution. This is another issue where you see the extremes of the two existing major parties. Democrats want to confiscate all guns, which is a dumb idea because only the law-abiding citizens would turn in their guns and the bad guys would be the only ones left armed. The Republicans walk the NRA line and refuse even limited restrictions. I generally oppose gun control, but I support the ban on assault weapons and I also support a slightly longer waiting period to purchase a gun. With today’s Internet technology we should be able to tell within seventy-two hours if a potential gun owner has a record. Technically, this really isn’t so bad. First off, he doesn’t say there will be a confiscation, and probably one of the most eye open statements is the fact that he realizes that criminals would never turn them in anyway. Holy cow! Someone actually realizes that this kind of stuff only affects law abiding citizens? He also talks about the support of the assault weapons ban. This was during a time when such a ban was in play. Today, this is pretty much seen as a dark period in the Second Amendment history. This was a long time ago, and firearms activists have taken a big step in the forward direction of defending our Constitutional right, so I am not sure if we will see something like this again (at least not on the scale of the Clinton Ban). The waiting period point he makes again seems archaic in today’s world. Background checks take a matter of minutes. Waiting periods really have no point to me when in states like Florida, I can walk in a store with cash and out with an “evil black rifle” after passing a background check, but if I wanted to buy a .22LR target pistol (and didn’t have my concealed carry permit), I would have to wait three days. I too am for background checks, but not waiting periods. In 2012, Emily Miller of the Washington Times interviewed Trump, and he again stated that he has a concealed carry permit that’s effective in New York City. This really does not mean too much. He’s ridiculously rich, and people like that tend to have an easier time getting permits in the “un-free” states. However, the fact that he is open about it shows he is not exactly against them. Anyway, back to the matter at hand. Fast forward to 2015… We all remember the very unfortunate terrorist attack on Paris in January. Trump actually had some very interesting comments to say about the issue that he tweeted to the public such as, “If the people so violently shot down in Paris had guns, at least they would have had a fighting chance.” Also, “Isn’t it interesting that the tragedy in Paris took place in one of the toughest gun control countries in the world?” These tweets (naturally) were taken negatively by many people. Then again, is that surprising? Now, of course this was a very fast statement for an important topic to many. Many politicians have said in the past that they aim to protect the Second Amendment, but only with the firearms they see as reasonable to own, or the magazines they think are fair, and so on. Does Trump mean this? He did use the word “fully”. Regardless, Trump is a very skilled negotiator, and knows how to get what he wants. Now, add politician to that mix, and we all know how that goes. All in all, it seems like Trump is now all for firearms. Though, is he saying that now for support, because he didn’t sound as supportive in 2000? Again, times have changed, and so far, I like the views he has regarding the Second Amendment. Let’s see where Donald Trump goes with this as time continues.